Welcome to SEMify, a Swedish AdWords agency, based in Stockholm! We have a lot of experience from working with international companies and various AdWords markets. Do you need help from a Swedish AdWords agency? Perhaps you have a company expanding internationally into the Swedish market? We can help you with your AdWords account, basic SEO, Analytics and Bing Ads. We focus on three main areas online; advertising, analysis and strategy. These three areas interact, and in order to achieve good results, it is important to understand how. What impact will search engine optimization have on Google AdWords, and how are these results measured and analyzed in Google Analytics? Contact us either by sending an email, or fill out the contact form on this page. Briefly describe your business and what you need help with. We will get back to you, preferably via telephone, and discuss the opportunities available. Assuming you already have an AdWords account, we need to get access to it in order to make a more detailed examination of how we can help you. You provide us with your customer ID which gives us access to the account. We wont make any changes at this stage, but overview the current structure and settings. What we do in the account is called an AdWords Health Check. We will review your account structure, keywords, settings, language, advertisement design, website linked to the ads, and more. We compile a detailed list of proposed improvements and also provides an estimate of how long the measures would take to perform, and the cost for this. After your approval, we begin immediately to implement the measures. The results often improve relatively quickly. The account should then be regularly maintained to ensure further quality, exclude irrelevant traffic and avoid unnecessary costs. SEMifys founder and CEO, Robin Havervall, has helped many companies in various industries. 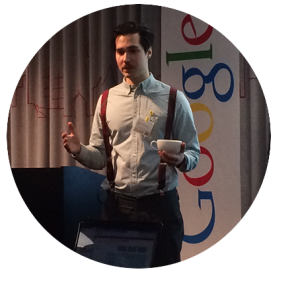 He has been hired by Google to hold certification courses in Google Adwords, as well as a web seminar for the nordic AdWords market. Later on, Robin got hired by a Norvwegian company. After a year abroad, he moved back to Sweden to start SEMify with the colleague Ina Malmsten. Ina works as an AdWords consultant and is also responsible for text formulation, as well as the SEMify blog and the company’s presence in social media. We are experienced in helping a variety of customers in Sweden as well as in Norway, England, Germany, Denmark, Finland and the United States. Since we are a smaller agency, the contact will always be personal. You will have direct access to the one who is responsible for the task you have delegated, and thereby is fully versed in your case. We believe that those who hire a marketing consultant only should pay if the work is effective and delivers results. Therefor it is natural for us to be transparent in the process and give our customers full control over how the marketing budget is spent. SEMify seek long-term partnerships where both parties benefit. All new assignments begins with a test month, which later turns into a partnership. Depending on the customers business and size of the mission, the fee can vary between fixed or periodic amounts, as well as commisionable and target based models. We will find a solution that fits your business.